Darlene Olivo is originally from New Jersey. After many years of enjoying vacationing in the Grand Strand she and her husband moved here permanently in 2006. Darlene was a dental assistant for 24 years in NJ and she decided to change careers after the move. 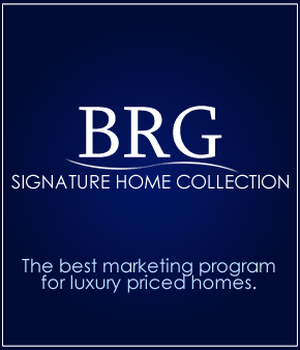 With her passion for working with the public she chose to become a Real Estate agent earning her ABR (Accredited Buyers Representative) designation. 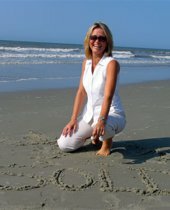 Darlene gets great joy assisting buyers and sellers with their real estate needs along the Grand Strand. She has many testimonials attesting her dedication, loyalty and going the extra mile for all of her clients. A multi-million dollar producer and past Realtor of the Year, she made the decision to join Beach Realty Group and is anxiously waiting to help YOU find the perfect home! "Darlene went above and beyond to help us close on our condo. The service we received was excellent I highly recommend Darlene." "Darlene Olivo was an outstanding person to deal with. She took me through the sale and closing step by step. FYI the condo was the sight of a murder which made the sale very difficult. There had been a lot of negative publicity about the place but Darlene tackled the job with professionalism and positive thinking. Darlene was very pleasant to deal with and has become a friend. You should be very proud to have her in your company. I would also like to give a thank you to Marie Freimuth who was my rental agent who had to deal with the mess. She kept me informed of everything going on and I never had to come down to SC. They were a wonderful team and a credit to your company." "We purchased our dream beach condo. Darlene was the best! Very thorough, responsive to every question, was thinking ahead to keep things on track and handled every little detail like a dedicated professional. We really enjoyed working with her. In addition to being an outstanding professional she is also a wonderful person. We were very lucky that our initial Web searches connected us with Darlene!" In all my years dealing with a Realtor, Darlene Olivo was the best ever. She was very helpful and always available to me, during and after the sale. Will recommend her to everyone whenever I get the chance. I have bought and sold 3 homes over the years and my 4th was just recently with the most qualified and knowledgeable Realtor ever. Darlene Olivo was outstanding throughout the whole process. Any questions I had she already knew the answers. Any time I called she was there or if busy would call back shortly. I rated her 5 stars but would give her 10 if I could. If you want a true professional, then I recommend Darlene Olivo.